Top Gear’s The Stig without a helmet? 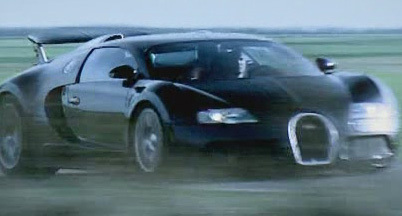 After the latest episode of Top Gear (season 9, episode 2), there has been some speculation as to whether a blonde guy who can be seen driving the Bugatti Veyron in a few shots is the Stig. The BBC say on their website that the Stig drove the Veyron back to Italy after the big race with Hammond and May in a light aircraft, and that a film crew went along and got some shots of it. Maybe these clips were used in Sundays episode? Leave a comment if you’ve got a suggestion! Posted in cars | Comments Off on Top Gear’s The Stig without a helmet?